The sister plane is cocooned in a framework of curved templates. 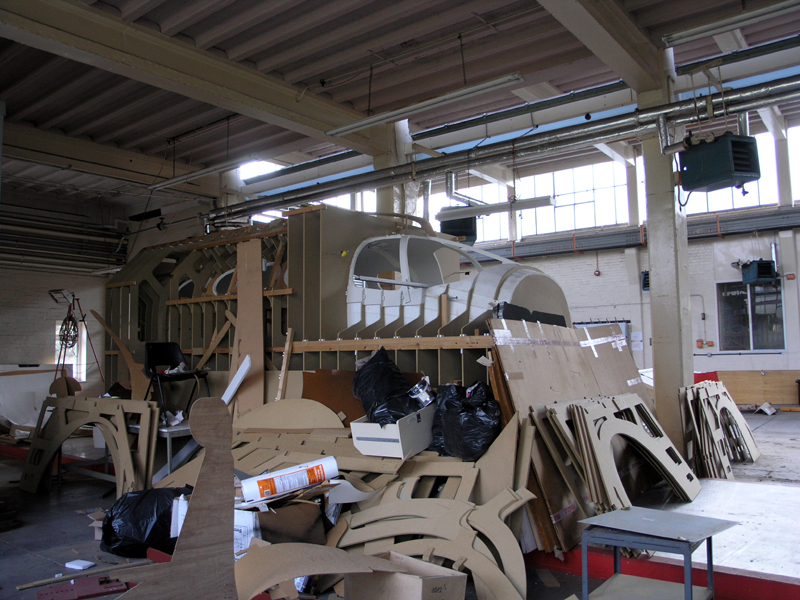 These separate wooden shapes, tracing other Bezier and French curves, remain stacked around the unfinished carcass of the plane. South east corner of the Main Stores looking west towards the second plane.